It is obvious that when you mention “anime,” the Japanese animated cartoons come to mind. Japanese animation has been such a big thing over the years that it has created a whole other world from the other cartoons we used to watch on TV as kids. When we say, “anime,” it meant Naruto, Gundam, Bleach, etc. It could never be confused with Spongebob, Johnny Bravo, Justice League, etc. The things you see in Comic Con is different from the things you see in the Anime Expo. It has become such a big industry that it has created its own community. You cannot easily enter this community for anime lovers just because you watched one anime. There are terms – most probably Japanese words – that anime fans from all over the world use just because a translated word is not enough. Delving into this community, you’d commit yourself to learning other things and be forming your own opinions – such as the classic animes of all time, iconic heroes and villains, one’s favorite anime archetype, and more. If you have never watched an anime and you find yourself wanting to know if you’d like it, there are animes out there that you could start off with – just to test the waters if you’d really like anime. 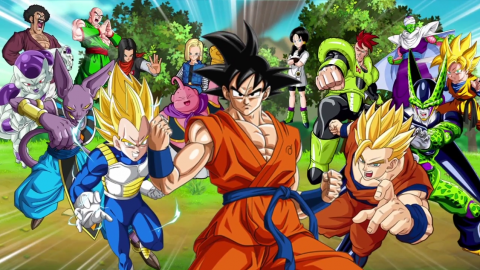 A lot of anime fans today have probably started off with Dragon Ball Z. It is probably considered to be a classic anime, hard to describe when you have not watch it, but what we can only tell you is that the awesome fighting scenes, amazing characters, and storylines will get you hooked that you might find yourself wanting for more, or looking for other animes similar to it. Death Note is an anime that takes a dark turn. The anime plays around the idea of death and how one person could control when a person would die and how he should die with just a notebook and a pen. What is even better is that the main character is not just some fool that writes a person’s name in the Death Note whenever he wants to – he is an intelligent and clever guy that gets his fun in staging his enemies’ deaths. Of course, battling an intelligent and clever hero is also an equally intelligent and clever antagonist who tries to trap the hero. This anime does not only have death going on in its story, but it is also a battle of the brains between two people.